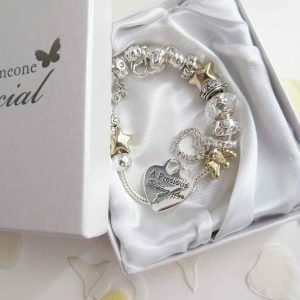 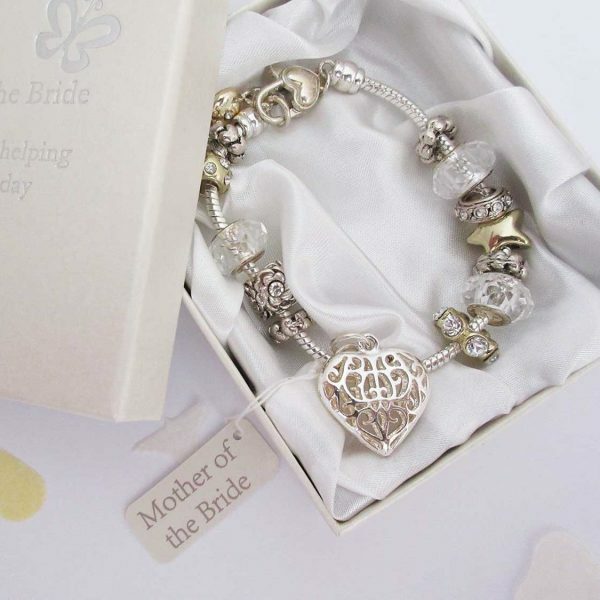 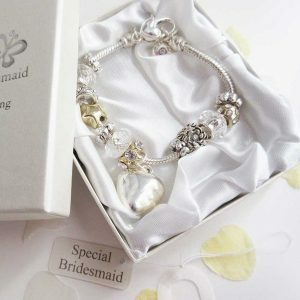 Say thank you to a special Mother of the Bride on your wedding day, with this elegant Silver Charm Bracelet. 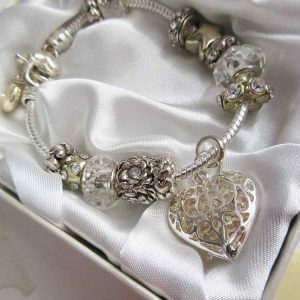 The bracelet is made from a silver plated rope-style bracelet which has charms individually placed onto it. 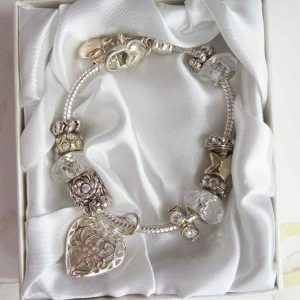 The charms are a selection of silver and gold along with glass beads. 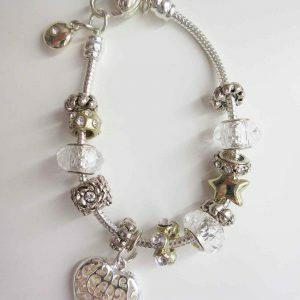 Some are inset with sparkling crystals which adds a real touch of glamour to this bracelet. Gorgeous item, my Mum will love it!